Can you tell us a little bit about yourself and the journey that has led to your current role at OpenText? As Director of Strategic Product Marketing for OpenText’s Business Network division, I lead the product marketing efforts for OpenText’s Business-to-Business (B2B) Managed Services. In particular, I drive industry and regional alignment with our overall Business Network product strategy and look at how new disruptive technologies will impact future supply chains. Can you give us a brief overview of OpenText and of your Business market segment? OpenText is the leader in Enterprise Information Management (EIM). What this means is that we help organizations make the most of the data they have, both on-premise and on the cloud. As a result, we offer organizations a comprehensive view of their information, enabling businesses to grow faster, lower operational costs, and reduce information governance and security risks by improving business insight, impact and process speed. Our Business Network enables organizations to boost competitiveness by connecting them with business partners, providing a single connection that digitizes all information flows anywhere in the world. What is the leadership role of OpenText in enabling supply chain solutions? What are the technologies that are of particular importance to the Supply Chain Industry? OpenText’s key differentiator is that we operate the world’s largest business network, connecting over 600,000 companies who collectively process over 24 billion electronic B2B transactions per year. Our network is key in helping companies digitize their procure-to-pay or order-to-cash processes, and essentially to digitize their end-to-end supply chains – removing expensive manual processes and paper-based documents from their procurement operations. Once companies have established their digital foundation or backbone across their extended digital ecosystem, they can then augment their platform with other supply chain solutions which allow enhanced visibility into supply chain transactions and shipment flows, monitor the lifecycle of purchase orders and even meet invoice compliance requirements across more than 40 countries around the world. 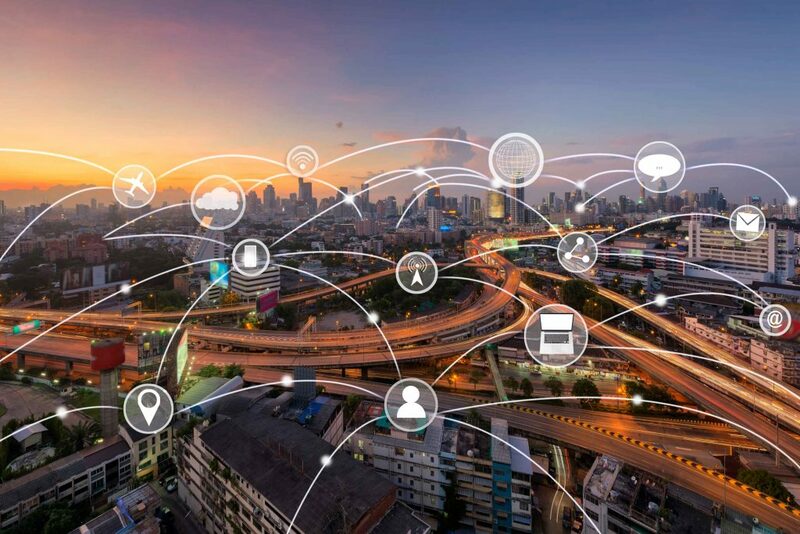 This environment can be further enhanced with other solutions from OpenText such as advanced analytics, connecting IoT devices and securing the identities of people, systems and things with our advanced identity and access management platform. What are some of the supply chain challenges that you see customers face in the Asia Pacific region and how can OpenText solutions help to solve them? Many Western companies have established operations or joint ventures in the APAC region, primarily to leverage lower cost production costs and explore new market business opportunities. However, the region is vastly diverse, and this presents challenges, especially in markets which are not as developed in terms of utilities and telecommunications infrastructures. This may hinder companies from connecting electronically with their suppliers in remote APAC regions. The other key challenge is educating trading partners on the benefits of moving from paper-based systems and Microsoft Excel, which is still one of the most important business systems in APAC. The final challenge is ensuring you have a supply chain visibility solution in place that can track shipments from, for example China, to any Western port in Europe or North America. It is only once companies have digitized their end-to-end supply chain that they can explore other disruptive technologies such as AI, IoT and potentially blockchain. In particular how is OpenText able to support value added technology solutions for the SME (small medium enterprises) to enable them to compete in bigger markets and where cost of ownership is crucial? By connecting these trading partners to a common business network environment, even very small trading partners, OpenText can help companies digitize their end-to-end supply chain. One of the common challenges with onboarding suppliers is ensuring you have 100% of these trading partners connected electronically. One way around this is through B2B enablement solutions such as web forms, portals and even a solution for Excel that allows small suppliers to send B2B documents from within their Microsoft Excel environment, such as our Trading Grid solution. We also offer the OpenText Cloud which enables companies to connect to small suppliers, irrespective of location or technical capability. Once connected to the OpenText Cloud, it allows SMEs to work with their customers located anywhere in the world, a key competitive differentiator in the market and a capability that can help these SMEs to grow their business, customer base, and of course, revenues. What are some of the ways that customers are looking to drive their supply chain relationships deeper with OpenText? Are these similar to what you are experiencing with your suppliers? Customers are constantly looking at ways to garner the most from new technologies, to radically transform their logistics networks and activate genuinely autonomous, traceable and transparent supply chains. Companies are now undertaking several supply chain transformation initiatives such as moving to cloud-based infrastructure, upgrading their ERP systems and consolidating their B2B networks. However, undertaking such projects places immense strain on a company’s IT resources. CIOs may divert expensive IT resources onto an SAP project, for example, so what happens with the day-to-day management of a trading partner community and how do problems get resolved? This is when companies consider strengthening their relationship with OpenText by leveraging B2B Managed Services, an offering providing people, process and technologies a solution to manage the B2B integration platform of a customer and the day-to-day management of their trading partner community. OpenText B2B Managed Services could be considered as an extension to a company’s IT department whereby OpenText manages the day-to-day requirements of the B2B platform, allowing the company to focus on other strategic initiatives such as deploying new disruptive technologies such as IoT or Blockchain. Companies that adopt B2B Managed Services tend to become long term customers of OpenText because we help reduce the cost of running a B2B environment by up to 40% and in some cases help companies achieve an ROI of 245% when compared to managing this activity on premise or internally. B2B Managed Services essentially provides the digital backbone – we take care of onboarding all trading partners, ensuring business transactions are flowing electronically around the world. We have over 900 companies leveraging B2B Managed Services around the world and these companies are in a much stronger position to then explore new disruptive technologies. Where do you see next technology breakthroughs coming from and how is OpenText positioned to continue its leadership position in a business changing landscape? Once companies have digitized their supply chains, they can then explore new disruptive technologies. If 50% of trading partners in a supply chain are exchanging paper-based transactions, it will be difficult to adopt new technologies such as AI and Machine Learning that are dependent on being ‘fed’ with digital information for companies to get the business insights they need. For those companies with this digital backbone in place, there are three key technologies that will transform supply chains over the next few years – AI, IoT and Blockchain. While other vendors and analysts are viewing these technologies independently, we see real business value when companies combine these three technologies together to essentially create an ‘autonomous supply chain’. Leveraging IoT, organizations can improve supply chain visibility, automate replenishment processes, and maximize equipment uptime through predictive maintenance. This is done using sensors to monitor every aspect of its operation. IoT sensors can measure the temperature of frozen or perishable goods as they move across a supply chain, measure the shock levels as fragile goods are moved, and track expensive goods, via global positioning systems (GPS) as they are exported to different markets around the world. Monitoring these conditions can help ensure against spoilage, damage and theft. Once sensor data has been retrieved from a connected device then it can be fed straight into an AI or Machine Learning Platform. When combined with other information from B2B transactions and even news information relating to weather or disruptive activities across a region, companies can leverage AI to improve forecasting capabilities, optimize logistics flows and improve the decision-making process. AI allows companies to obtain a wealth of information about the day-to-day of their supply chain operations. This enables businesses to predict sales patterns, identify potential issues in advance, and even make suggestions for dealing with interruptions like severe weather or disasters. Finally, Blockchain can help companies address issues such as traceability of goods. Knowing the provenance of raw materials can help in situations where a product recall is initiated or if a government investigation needs to understand where faulty goods or contaminated products entered the supply chain. Blockchain can retain unstructured information relating to a shipment, for example, knowing the location of a shipment through GPS sensor data, leveraging information from Electronic Data Interchange (EDI) transactions such as shipment details, customer location, and even the original supplier details. Blockchain allows companies to retain the provenance of information as it flows across the supply chain. Companies are still at the very early stages of learning about blockchain technologies and how it can impact their business, and it will be a few years before blockchain finds its way into every business process. In today’s disruptive marketplace, OpenText is uniquely positioned to leverage the integration of these technologies to drive better business outcomes for our clients. For example, companies can leverage our suite of solutions such as our Covisint IoT platform as well as our Magellan AI and Machine Learning platform. OpenText is currently exploring proof of concepts relating to supply chain with a blockchain provider. Tomorrow’s supply chains are going to be exciting places to work and OpenText is at the center of this supply chain renaissance. 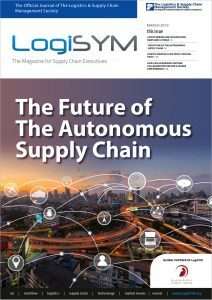 How should the supply chain industry re-think the future with so many variables & challenges seen ahead? The supply chain operations of the future will be completely transformed by the disruptive technology being introduced today. Supply chains are often subjected to a great deal of unpredictability, due to factors such as natural disasters or even physical damage or accident. Organizations are therefore facing a continuous challenge to minimize disruptions and ensure that goods are delivered to customers on time. As such, a fully digital supply chain is no longer a choice, but a necessity. This will enable the effective exchange of information with the external eco-system, bridging the communication gap between manufacturers, retailers, and consumers to bring benefits for all. Companies that do not digitize their supply chains will not be able to properly compete on the global stage. They will not be able to leverage the full benefits of these disruptive technologies and they will not be able to differentiate themselves from their competitors in the market. With TPP, R-CEP and the AEC looming on the economic horizon and all the implications this has for compliance and regional trade Is there a way that OpenText solutions assists their customers with that? We see digital transformation as a key way that businesses can plan-for and deal-with the current evolving trade unpredictability. Understanding impacts that global macroeconomic trends will have on a business is easier with more viability into your supply chain operations. Predictive insights can help companies plan and respond to changes in their supply chains rapidly. Now for some future-gazing: where do you see next technology breakthroughs? Blockchain, although gaining traction across virtually every industry, is still in its infancy and there is still a lot of hype around this technology. Nonetheless, it has the potential to be harnessed for further operational efficiency. Some analysts predict that it will take up to ten years for blockchain technology to become mainstream in the supply chain. I’m certain we’ll see numerous new applications of blockchain, and also an evolution of blockchain use in the supply chain industry. We are already hearing terms such as ‘blockchain of things’ and companies using different blockchain platforms will need to find a way to integrate these platforms together, so blockchain-to-blockchain integration will become an increasing requirement over the coming years. Beyond blockchain, companies will be exploring the use of quantum computing to allow decisions to be made more quickly, and hence, allow their business to respond to market changes more quickly. The volume of data flowing across supply chains is going to increase exponentially over the coming years and hence companies will need to invest in new solutions that can process all of this data in a timely manner. The last area that companies will probably explore is leveraging augmented reality and virtual reality technology to build 3D virtual mockups of their supply chain operations. This means being able to model supply chains, and make virtual changes, such as introducing ten more suppliers to the model to see the impact on logistics flows. 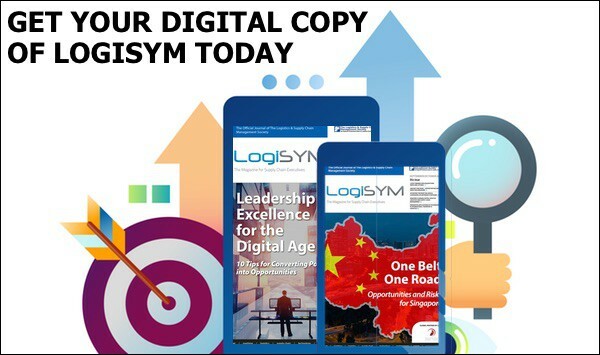 This takes supply chain visibility to the next level and this ‘digital twin’ of a physical supply chain is really where companies will eventually get to. The technology exists today to achieve this, but it will take time to educate the market on the benefits of this technology. I believe it is the application of these next generation technologies that will help to attract today’s university graduates into the world of supply chain operations. What is OpenText’s strategy for the Asia Pacific region? OpenText has operations across the APAC region and having on the ground support in this region is key to helping our global customers be successful in the region. Whether working with customers in China, Thailand, Vietnam or even Japan, OpenText can help to onboard trading partners in this region and ensure that their end to end supply chain becomes truly digitized. Over the past decade, global manufacturers have rushed into the APAC region and we have helped companies to connect with trading partners. However, due to factors such as changing market demands, new import/export tariffs and the challenges of doing business in remote parts of the APAC region, some companies have near shored some production back to their home markets. But the global market is in constant flux. Hence, for companies connected to our cloud-based business network, we can provide these companies with the flexibility and scalability to connect and work seamlessly with trading partners all around the world. OpenText has always been an acquisition inquisitive company and over time I expect there could be further acquisitions that will continue to strengthen our presence in the region, especially supporting key industry verticals such as manufacturing.